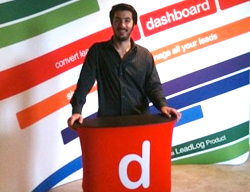 Since our sales team has been using dashboard our ROI on purchased leads has increased by over 27%. We've never seen an increase in profitability happen so fast! We love how easy dashboard is, our sales agents are non-technical but actually use it because it helps them stay on track. Great customer support too! John Edmuns – Build Your Signs Inc. Customizing dashboard to our sales workflow was super easy. Our sales reps have increased their closing rates over 20% since implementation. Keep up the good work! 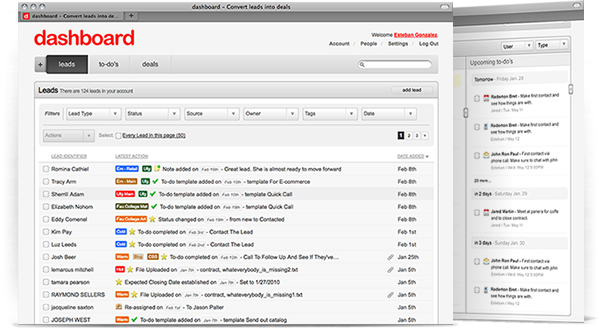 Absolutely love the simplicity of dashboard. Where have you been all my life? Things are running so smoothly in our sales department now! Learn how dashboard helps close the deal easier. work faster when you are powered by dashboard. Discover a better and easier way to manage leads. Register Now! A one on one interactive experience with one of our experts. Learn how dashboard can streamline your sales process using our simplified technology, work faster when you are powered by dashboard. Seeing is believing, watch as we put our mouse and keyboard to work in a quick 30 minute demo with real life scenarios that we have compiled from questions dashboard users have submitted. Write down any questions you may have so we can answer them in the demo. To get a free dashboard trial, click here to sign up or call 1-800-458-7713. © Copyright 2008-2011 - LeadLog, LLC.